Invite little "explorers" to your child's next birthday party by using invitations featuring the popular cartoon character Dora. Free invitations cut down on your overall party costs, allowing you to spend your money on other Dora themed party supplies. A variety of methods are available for creating Dora party invitations. Whether you download and print an invitation, make one yourself or send out an online invitation, your guests will get a kick out of this popular party theme on your child's invitation. DLTK Cards takes you step-by-step through the process of making an invitation card. First, select the type of card (party invitation). Then, choose the theme (Dora the Explorer). Next, choose whether you want a black and white image, which saves ink and allows your child to color the invitations him/herself, or a color image. 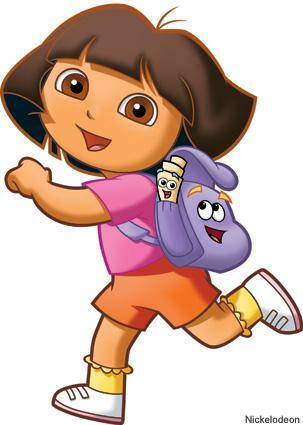 Continue on by selecting one of the available pictures of Dora herself or her friends Swiper and Boots. Continue following the steps for adding party information and text, until you have finished the invitation. Print the invite using your home printer. Family Shopping Bag has several Dora and Diego themed invitations. Select from ones featuring both characters, or just Dora with her friends. These invitations are single-fold cards with just the outside designed. You will need to create the inside party information wording yourself. Cartoon Watcher offers a couple of Dora the Explorer invitations for printing. One features Dora and Diego in western attire, perfect for a cowboy and cowgirl themed Dora party. The second highlights Dora and Backpack, Boots and other friends. An evite is a great way to get the message out about your party quickly and easily. You also save money and time compared to printing free Dora the Explorer invitations, because e-cards can be done as a mass mailing to all the potential guests. A simple way to do this is to create a document with free Dora clipart and send everyone an email. Alternatively, you can look for online invitations from companies that have licensed the character for use in their e-cards. Snap a photo of your child in a Dora shirt, surrounded by her favorite Dora items. Dolls, stuffed animals, a backpack and blankets are good items to include in the photo. Edit the photo and load it into a word processing program. Add festive wording, like "Dora is going to Birthday Child's party! She wants to invite you, too!" Include pertinent party information, like date, location, and RSVP information. A Dora the Explorer birthday party is sure to be exciting for all the explorers who attend. The party invitation is the first clue kids will have to the party's theme, so be sure to find a free one that shows off this favorite cartoon character.